John Quenneville’s power-play goal with 42.4 seconds left in overtime lifted the Binghamton Devils to a 3-2 win over the Wolf Pack Friday night at the Floyd L. Maines Veterans Memorial Arena in Binghamton, NY. 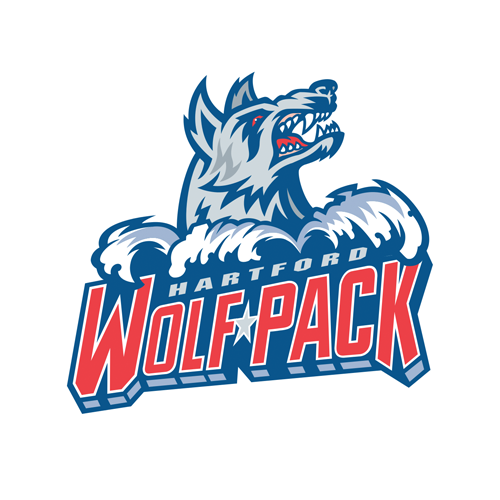 Bobby Butler and Vinni Lettieri scored for the Wolf Pack, who led 2-1 going into the third period, but Blake Pietila’s second goal of the game tied it in the third, and he also had an assist on the game-winner. Binghamton went to the man advantage when Sean Day was called for hooking at 3:16 of the OT. On the winning play, Pietila got the puck to John Ramage at the left point, and he sent it across to Quenneville in the right circle. His one-timer beat Wolf Pack goaltender Marek Mazanec (32 saves) to the stick side. Pietila had leveled the score at two apiece at 7:24 of the third, shortly after the Wolf Pack had finished killing a penalty. This time it was Quenneville with the setup, as he stopped up along the boards just inside the Wolf Pack zone and sent Pietila up the slot with a lead pass. He fired a forehand shot past Mazanec’s blocker. Pietila opened the scoring for the Devils at 8:56 of the first period, on the game’s first power play. With Steven Fogarty in the box for a faceoff violation, Brandon Gignac handed the puck to Nick Lappin to the right of Marek Mazanec, and Lappin backhanded a pass across the goal mouth to Pietila, who had most of the net to shoot at from below the right faceoff dot. The Wolf Pack equalized only 2:17 later, at 11:13, on Butler’s seventh goal of the season. Gabriel Fontaine fed to Butler on the left boards in the Binghamton zone, and he slapped it at the net. It hit a defender in front of the goal and deflected past Devil netminder Mackenzie Blackwood (22 saves). Lettieri scored the only goal of the second period, giving Hartford its first lead of the game at 16:13. Connor Brickley dropped the puck to Lettieri at the top of the right circle, and his hard snapshot beat Blackwood to the stick side. 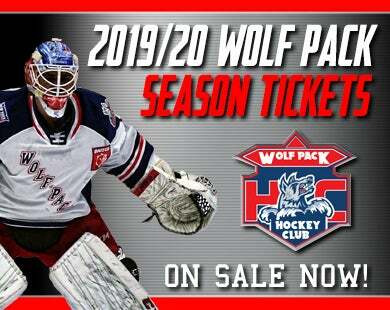 The Wolf Pack are back on home ice at the XL Saturday night, for their last game before the AHL All-Star break, a 7:00 contest vs. the Charlotte Checkers. The Wolf Pack will be holding a “Halfway to Summer” luau at that game, with the team wearing special Hawaiian floral-print jerseys, which will be auctioned off to benefit the Channel 3 Kids Camp. Also, the first 2,000 fans will receive a free Wolf Pack baseball cap, presented by CT-DOT. 1st Period-1, Binghamton, Pietila 13 (Lappin, Gignac), 8:56 (PP). 2, Hartford, Butler 7 (Fontaine, Fogarty), 11:13. 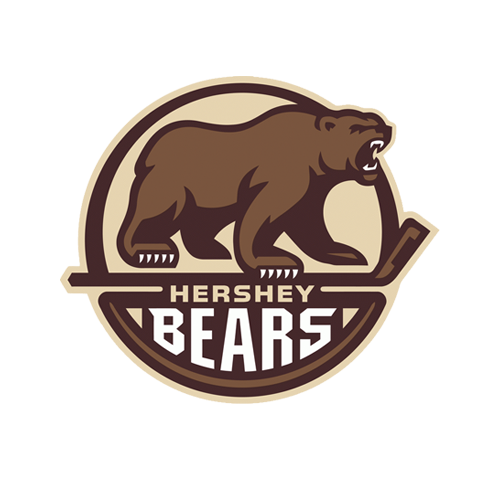 Penalties-served by Fogarty Hfd (bench minor - delay of game (faceoff violation)), 7:35; White Bng (tripping), 14:39; Pietila Bng (double minor - high-sticking), 16:05. 2nd Period-3, Hartford, Lettieri 12 (Brickley, Nieves), 16:13. Penalties-Lindgren Hfd (roughing), 4:15; Tangradi Bng (roughing), 4:15; Jacobs Bng (hooking), 11:07; Ramage Bng (tripping), 17:24. 3rd Period-4, Binghamton, Pietila 14 (Quenneville, Studenic), 7:24. Penalties-Sissons Bng (interference), 1:35; O'Gara Hfd (interference), 4:49. OT Period-5, Binghamton, Quenneville 11 (Ramage, Pietila), 4:17 (PP). Penalties-Day Hfd (hooking), 3:16. 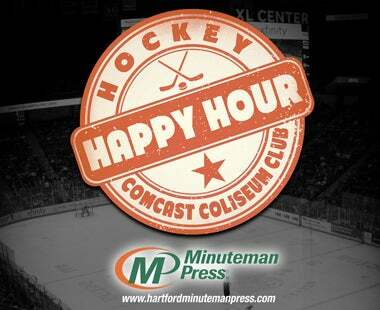 Shots on Goal-Hartford 13-6-5-0-24. Binghamton 10-8-13-4-35. 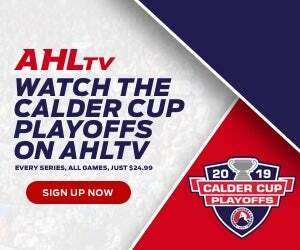 Power Play Opportunities-Hartford 0 / 6; Binghamton 2 / 3. Goalies-Hartford, Mazanec 7-6-3 (35 shots-32 saves). Binghamton, Blackwood 7-7-1 (24 shots-22 saves). Referees-Michael Markovic (47), Michael Sheehan (74). Linesmen-Neil Frederickson (68), Tyler Loftus (11).